For two years, Emra, a nine-year-old Belgian Malinois, and United States Air Force Staff Sergeant Adam Wylie were an inseparable team. The pair served together overseas in South Korea, where they worked to patrol the area surrounding the Air Force base to prevent enemy intrusions, and conducted safety sweeps in advance of sensitive visits from top U.S. officials, including President Barack Obama and Vice President Joe Biden, among other vital duties in service to our country. When SSgt. Wylie retired from service in 2014, Emra continued to bravely protect American lives for two more years until her own retirement due to age. 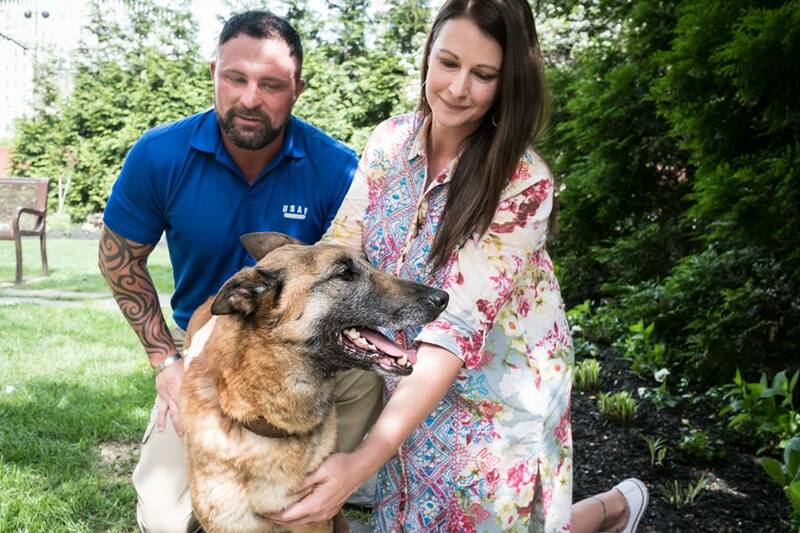 American Humane, with the generous support of Crown Media Family Networks and individual donors across the country, funded the costs of bringing four-legged veteran Emra back from South Korea to retire on U.S. soil. Last week, for the first time in years, SSgt. Wylie and Emra were finally together again—and their reunion was nothing less than joyful. SSgt. Wylie, along with his wife and their four-year-old daughter, are adopting Emra, giving her the loving forever home and comfortable, dignified retirement she deserves. American Humane, an organization that has worked to support the U.S. military for over a century, is dedicated to protecting our country’s hard-working military dogs and recognizing their heroic contributions to our country. 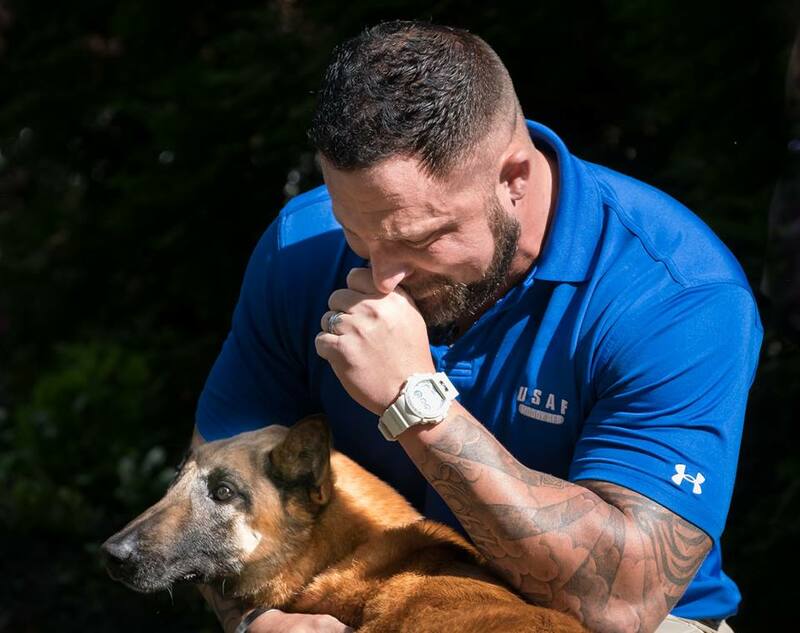 As part of this mission, American Humane, in partnership with Crown Media Family Networks, brings retired military dogs back to the U.S. and reconnects them with their handlers; SSgt. Wylie and Emra are the 32nd military team to be reunited by the group. 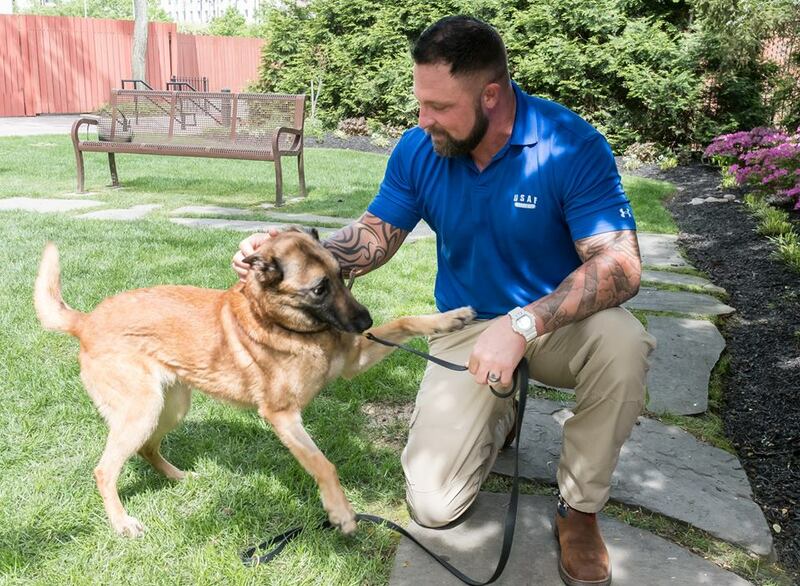 “Crown Media Family Networks is proud to partner with American Humane in this very important program to reunite canine veterans and their human handlers,” said Bill Abbott, president and CEO of Crown Media Family Networks. “Having served the U.S. military so admirably, we wish SSgt. Wylie and Emra the very best as they celebrate this reunion, and we wish them every happiness in life,” Abbott concluded. American Humane is proud to support our nation’s military veterans and reunite former battle buddies like Adam and Emra. For more information on our military programs, please click here. America's two and four legged veterans served us - now let's serve them.